As part of our tradition, Cuenca Cigars features a monthly event that has become highly anticipated one. 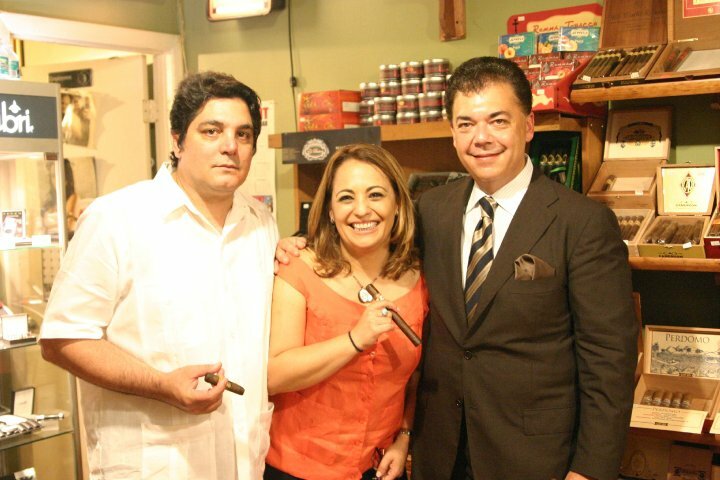 Come to celebrate the First 2012 Cigar Event with Nick Perdomo. This will be a spectacular one. Meet Nick Perdomo Thursday January 26 th and his fantastic cigars. Get him to personally introduce you to his new ESV line and other cigar that are already connoisseur's favorites. Special sales and door prices. Raffle at the end of the night. Be here or be square! Buy two boxes of Perdomo Cigars get all three items. Buy four Perdomo cigars and get one free. Best Cigars, Cigars on Sale, Cigar of the Year, Top 25, Online sales, Nick Perdomo, Tabacalera Perdomo, Perdomo Cigars. Perdomo Cigars, Discount Perdomo Cigars - Tabacalera Perdomo, originally called Nick's Cigar Co., began in 1992 in Nick Perdomo, Jr.'s garage in Miami. Today, the company has many highly rated brands and is distributed in several different countries. Try Perdomo cigars and find out for yourself why some of their offerings received 90+ ratings in Smoke Magazine, Cigar Aficionado, and Cigar Insider.